First Limestone-Gypsum FGD Systems in Indian Market: Mitsubishi Hitachi Power Systems, Ltd. 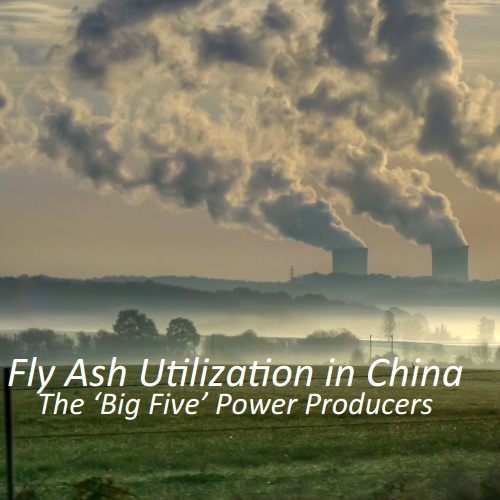 There are multiple applications for removing sulfur and certain emissions from exhaust flue gases of coal-fired power plants. Some examples are: Wet scrubbing using a slurry of alkaline sorbents, spray-dry scrubbing, wet sulfuric acid process recovering sulfur in the form of commercial quality sulfuric acid; and dry sorbent injection systems. National Thermal Power Corporation Limited (NTPC) is tackling the first series of limestone gypsum FGD systems in the Indian Market. NTPC is India's largest energy conglomerate with roots going back to 1975. NTPC Ltd is an Indian Public Sector undertaking, engaged in the business of generation of electricity and allied activities. Some of the largest coal fired power stations in India are owned and operated by NTPC. Mitsubishi Hitachi Power Systems (Japan) has received an order from NTPC to implement India’s first ever Limestone-Gypsum FGD System in India. There will be six systems installed, on top of the already functioning power generating facilities in Central and Northern India. Two of the installation will occur at the Mouda Facility, with a combined capacity of 1320MW. Other systems will be installed at Rihand plants two and three, with 2000 MW capacity total. The FGD system type that will be implemented at these facilities will be a dry spray desulfurizing scrubber system. Mitsubishi Hitachi Power Systems is a conglomerate of Mitsubishi Heavy Industries, Ltd. (MHI) and Hitachi, Ltd. Since 2014, MHPS has been achieving goals in environmental technologies and project engineering across the globe. 1. The desulfurization absorbs sulfur oxides, and collects the generated gypsum by reacting limestone with SOx. 2. The open sprayer system sprays absorbent (limestone slurry) from above the compact flue gas scrubbing tower to absorb harmful SOx efficiently. More than ever before, India is pursuing rigorous emission-fighting methods for every stage of the energy producing process, from cleaning coal, to processing and utilisation technologies post combustion. Since coal is still India’s top energy source, adding FGD type systems is actually becoming increasingly common. Only time will tell which technologies will aid India’s goals best and extend to industry wide practice.